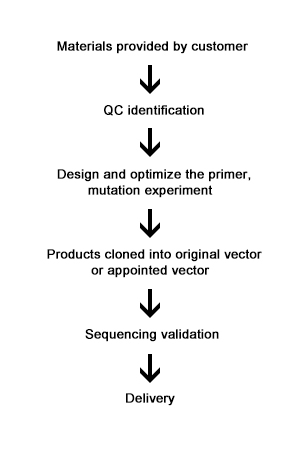 Site-directed mutagenesis introduces changes to DNA fragments by PCR method, including deletion, insertion and point mutation, which is the most useful means of gene modification and optimization and also is the important tool to study the complicated relation between the protein structure and functions. General Biosystems can customize site-directed mutagenesis protocol according to different research purposes. Our specialized services enable you to obtain mutant constructs quickly. Please provide a sufficient amount of high purity plasmid, concentration ≥100ng/μl, total volume ≥40μl. Electrophoresis and plasmid map are clear, no degradation.